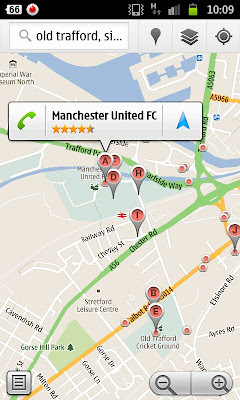 Google Maps for Android has just been updated in the market. The main changes are the addition of transitÂ navigationÂ features. However, the best new feature is surely the addition of bubble buttons to labs. Â This feature adds a shortcut to a place selection to enable you to call or navigate to the place quickly. Menu > More > Labs > Scroll down to "Bubble Buttons" and tap it to turn it on.